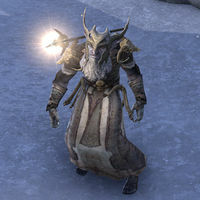 Riekrs are short, white-skinned humanoids found in Wrothgar. They are a type of goblin, with whom they share a propensity for savagery. Riekrs are usually accompanied by their tamed durzogs. This page was last modified on 13 May 2018, at 23:03.